Looking for a new drink? How about something mixes a bubbly refreshing drink with some alcohol? Seltzers have long been a top choice when it comes to mixers, so it is no surprise that hard seltzers are quickly becoming one of the new favorite bubbly alcohol beverage options for adult consumers. SMIRNOFF Spiked Sparkling Seltzer premium malt beverage is the newest addition to the hard seltzer category — but with fewer calories than the leading hard seltzer brands currently on the market. In addition to only being 90 calories per 12 oz. serving, the new premium malt beverage has only 1g carbs, zero sugar and no artificial sweeteners. When reaching for bubbly this holiday season, go for SMIRNOFF Spiked Sparkling Seltzer, as one 12 oz. can offers the same calories as only one 4 oz. glass of most champagnes. 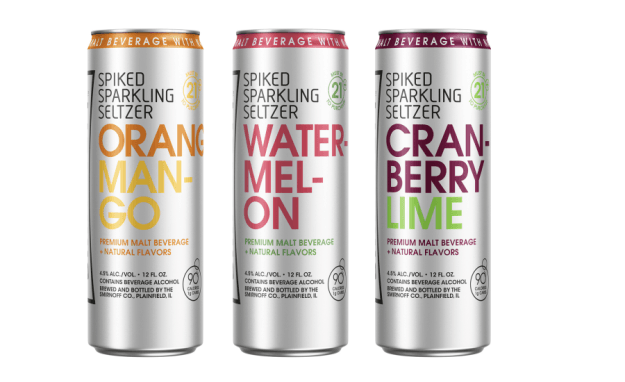 Consumers 21 years of age and older will be able to pick up SMIRNOFF Spiked Sparkling Seltzer in three refreshing-tasting flavors – Orange Mango, Cranberry Lime and Watermelon beginning in November. Served chilled in its slimline can, the three flavors are crafted to remove gluten and are infused with natural fruit flavors. SMIRNOFF Spiked Sparkling Seltzer is 4.5% alcohol by volume and is best served chilled in the 12 oz. slimline cans or in a glass on the rocks with a fruit garnish. The new product will be available nationwide with a manufacturer’s recommended retail price of $8.99 for a 6-pack of 12 oz. cans. SMIRNOFF asks consumers to enjoy this bubbly goodness responsibly. One of the great things about this part of the year is that people reflect on what they have and what is really important to them. That notion set the idea of #GivingTuesday in motion. 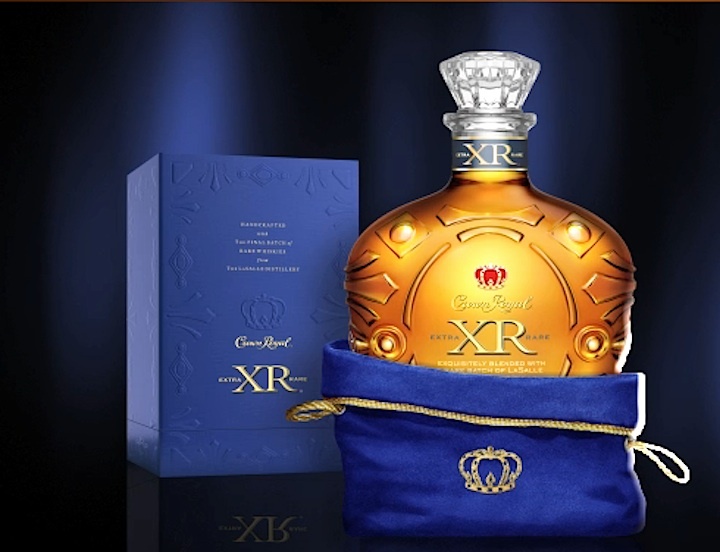 Crown Royal is looking to help too. They started the “Live Generously and Life Will Treat You Royally” campaign. Their mission is to inspire and facilitate generosity in all of its many forms. 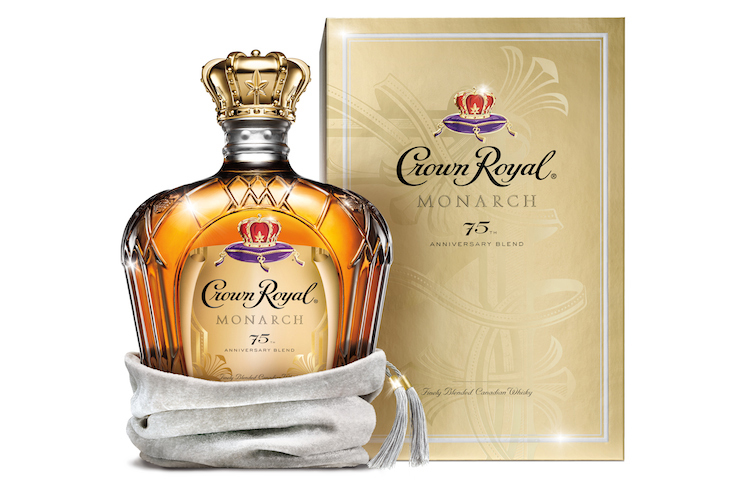 In celebration of #GivingTuesday, Crown Royal is partnering with GoodWorld, a tech startup that fuels charitable giving on social media. Together they are encouraging people to support worthy causes by commenting #donate on participating charities’ Facebook posts, tweeting #donate at a cause’s username or by signing up at GoodWorld.me to trigger real-time donations. If you truly believe that you are the number one fan for your team you need to check out the one of kind Bluetooth speaker from Nima Sports. It will improve your office, TV room, or wherever you want to show off your team pride. Just in time for the holidays you can get a gift for the sports fan on your list or even for yourself. Just imagine you sitting in your house watching your favorite college football team on TV and you wanted to hear your favorite radio host call the game. With the Nima Sports helmet speaker you can. You just sync up your new football helmet speaker to your phone. Then just mute the TV and listen to the game from your favorite college team’s helmet. Even when it is not game day you can listen to your favorite sports talk shows that discuss your team’s performance from the weekend or listen to music. There are three sizes for each helmet. You can pick up any size and you will be happy with your purchase. 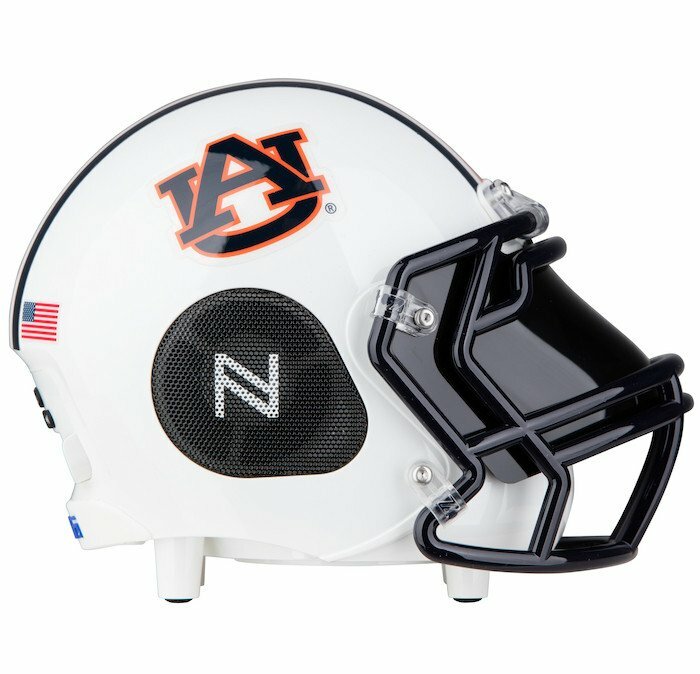 I was able to test out the small version of the Auburn Tigers helmet and was very pleased with the performance of the speaker as well as the look of the helmet. There are certain Bluetooth speakers that spend too much time on the design of the speaker and neglect the performance of that speaker. You can tell once it starts trying to play off your synced device. The sound quality is poor and at some points even irritating. Then there are others that focus way too much on the speaker. The look of that speaker is flimsy and often tends break and looks horrible in your office or game room. So you end up with a speaker that either under delivers in sound or look. Why would you spend money on that? 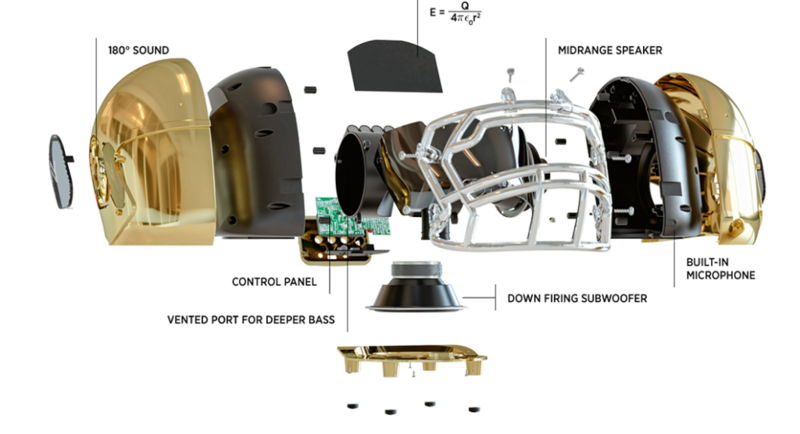 For the Nima Sports helmet speaker you can instantly tell that they put their heart and soul into the development of the design and sound. Any sports fans will tell you that when they rep their team they want something that looks authentic and real. Nima provides that slick look. These helmet speaker look like a mini version of the helmets they wear on game day. What about the sound from the Nima Sports helmet? It comes with one down firing subwoofer for massive bass beats, two midrange speakers for clear sound, and seven preset equalizer options. The NIMA Sports helmet is compatible with any Smartphone, Tablet, MP3, PC or Mac with Bluetooth connectivity. Stream wirelessly and seamlessly control every feature of the speaker from anywhere within 65 feet. So this helmet from Nima is perfect for when you are tailgating right before the game. Nima developed with the goal of connecting the sports fan with the music that invigorates them. The speakers come as extremely realistic NCAA team helmets, with NFL helmets and NBA basketball are soon to be released. From pumping up your fellow fans at a tailgate to displaying your team pride at work, this helmet is the perfect way to fervently display your fandom. The products come in various sizes, please check out the website for further details. What do you get when you have a two great companies work together? In this case you get great bourbon and a great jacket. 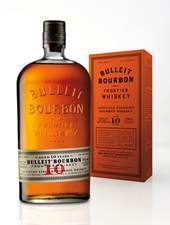 Bulleit Bourbon and NOBLE Denim continue to find unique ways to combine two of the best materials in the world: denim and whiskey. Building on the partnership that began with barrel aged jeans in 2014, Bulleit and NOBLE are again joining forces to bring whiskey lovers NOBLE jean jackets aged in Bulleit barrels. 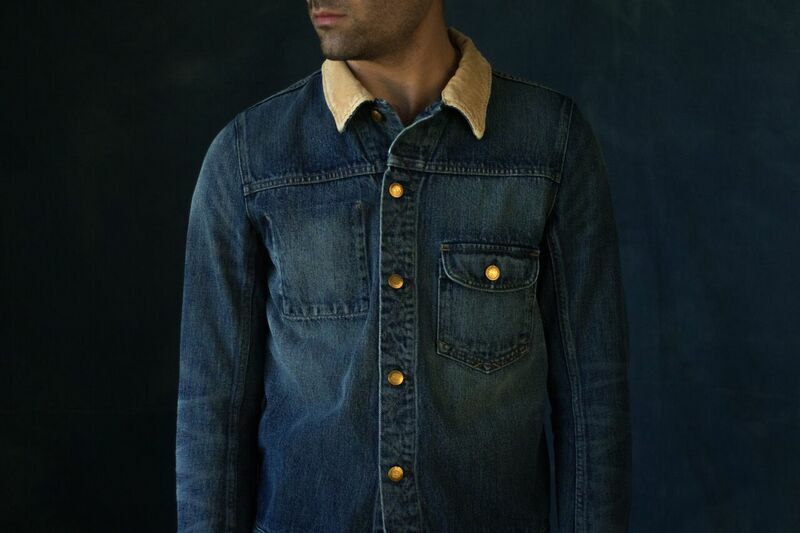 The jackets will be available in limited quantities on NobleDenim.com, at the Bulleit Frontier Whiskey Experience at Stitzel-Weller in Louisville and at select retail outlets beginning in late-November. They are perfect for anyone you know who can rock a good looking jacket. To celebrate the launch, Bulleit and NOBLE teamed up with indie-rock band Houndmouth, to record exclusive videos incorporating the NOBLE jean jackets and, of course, Bulleit cocktails. Make sure you are on the lookout for these videos that will be available soon. Check out the teaser trailer HERE. 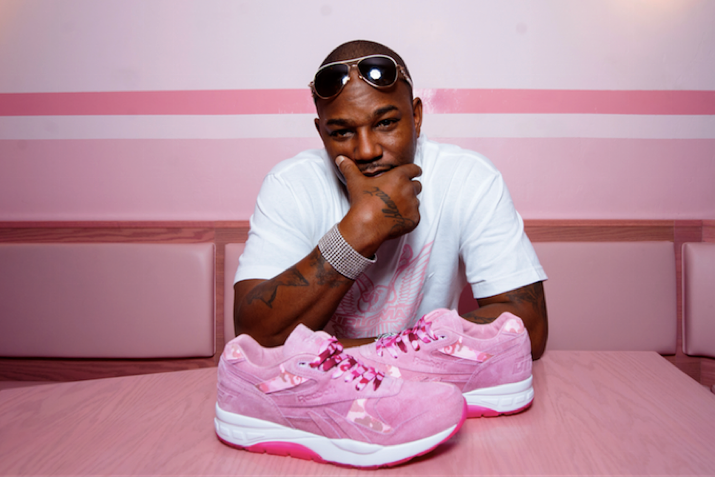 I remember listening to Cam’ron’s “Oh Boy” on repeat back in the day. When it comes on the radio it brings back some great memories. 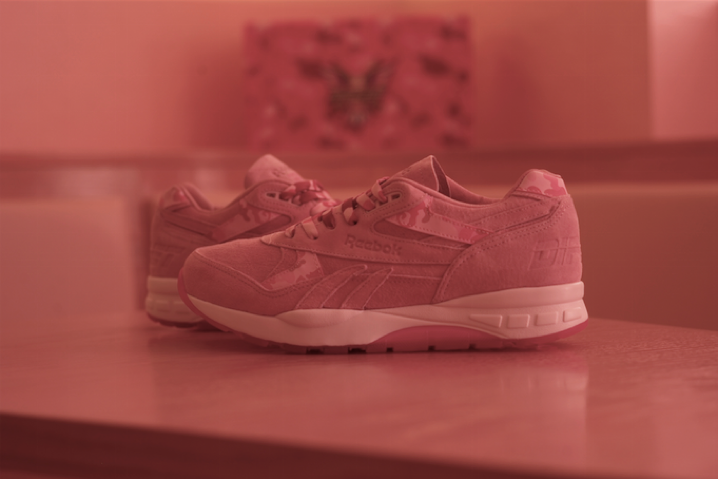 So when I heard that Reebok Classic announced its second collaboration with American hip-hop artist, actor and entrepreneur Cam’ron, with the launch of the Reebok Ventilator Supreme Cam’ron I couldn’t wait to see what that had in store. Any whiskey collectors out there? If so you may want to take part in this unique auction. 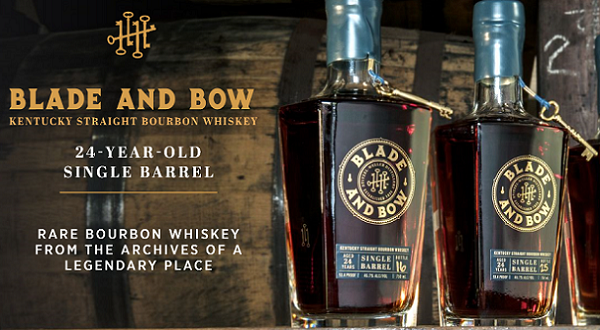 Whiskey aficionados should mark their calendars for Dec. 9 for the opportunity to purchase a one-of-a-kind collectable piece of Kentucky bourbon history when the only known barrel of Blade and Bow 24-Year-Old Whiskey will go up for auction through Christie’s Auction House. 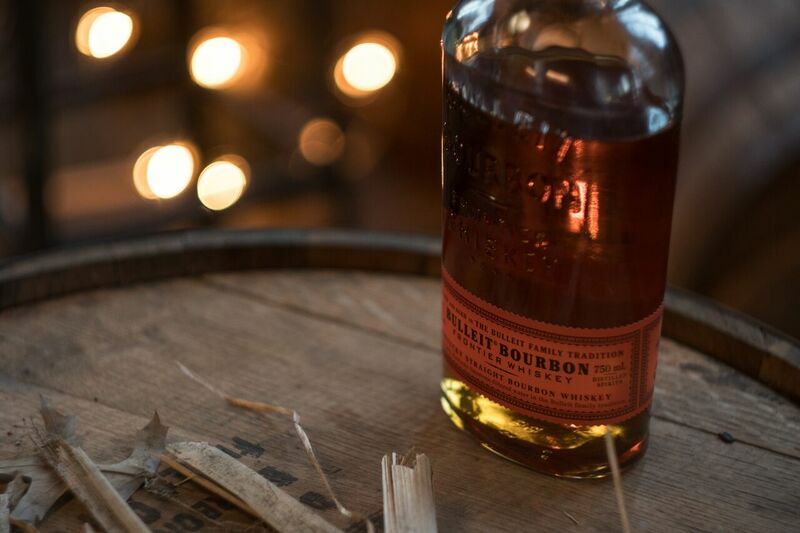 The barrel was distilled and aged at The Stitzel-Weller Distillery outside of Louisville, famous for producing some of the most sought after whiskeys in the world. All proceeds from the sale will benefit Robin Hood, New York’s largest poverty-fighting organization. 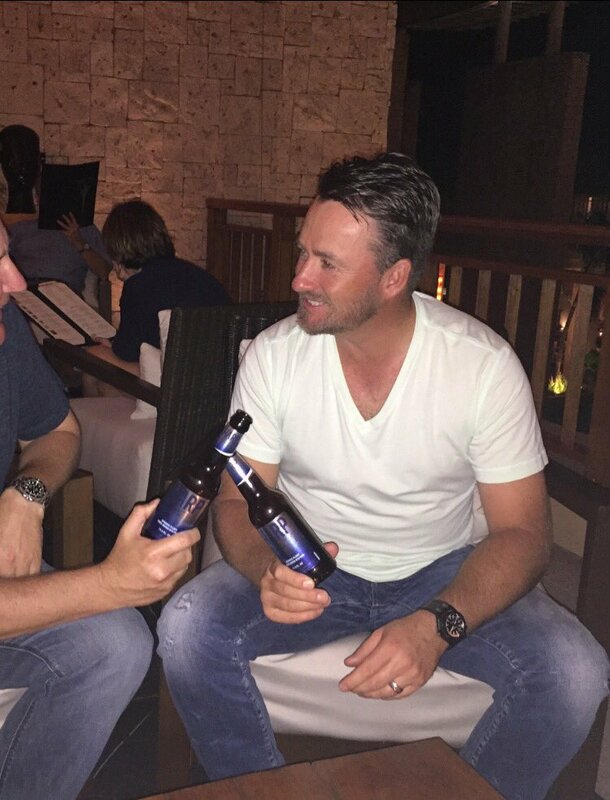 We all know that Graeme McDowell has a passion for golf, but did you know about his love of beer? It turns out that Graeme is a huge fan of great beer. Because of his dedication to greatness on and off the course, Graeme is the kind of competitor that truly understands the motivation behind each pint of Harp. He even grew up right down the road from the Harp Brewery and has brewed beer himself. 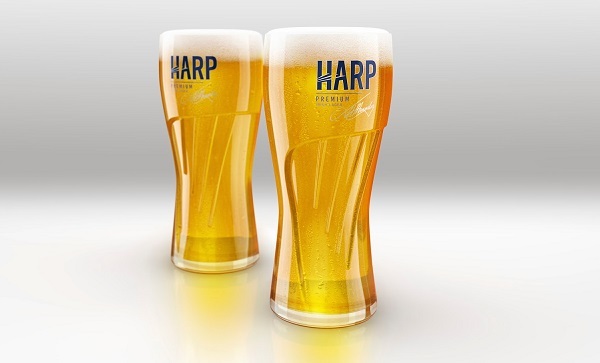 Harp Lager was first brewed in 1960 by Guinness under the guidance of German master brewer, Dr. Herman Muender. The golden, clear lager has a dry and malty front with a crisp and hoppy finish, with an ABV of 4.5% and 21 IBUs. They first led the industry in sports drinks. Now Gatorade has something new for fans of the brand. 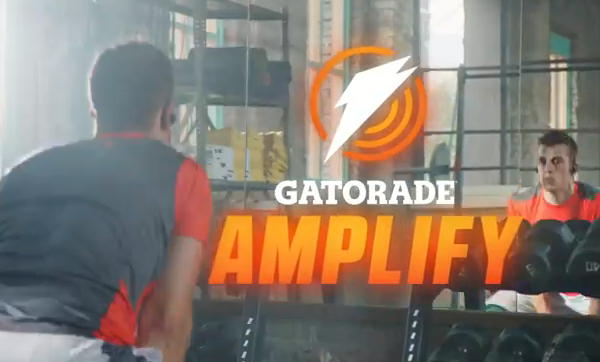 Gatorade launches Gatorade Amplify, a new experience within Spotify that creates a personalized workout experience unlike any other. It allows users to generate informed playlists made up of songs in Spotify’s library based off of results from a rigorous data analysis that uncovered what makes a song good for training. Gatorade Amplify selects songs based on the ranges of five sonic attributes, listed below in order of importance. Users can choose playlists for high-intensity workouts as well as interval training, plus an exclusive mix produced by Steve Aoki and the Dim Mak All-Stars. Check out these stars below and the upcoming videos. 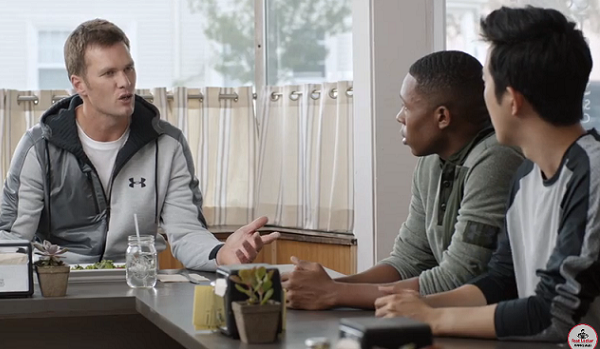 Carmelo Anthony: Anthony encounters two men eager to experience Foot Locker’s “Week of Greatness” before it’s too late. Anthony begins to rattle off all of his moments of greatness and accomplishments, explaining how he isn’t too worried about a “window of greatness” closing on or off the court. Ja Rule: Ja Rule goes behind the wheel as a third-party car service driver who reminisces on his great days of the past while sharing his stories with his passengers. Kyrie Irving (Kids Foot Locker): Irving runs into a boy who is playing a basketball game on his mobile phone and showing off how great he’s doing using Irving in the game. After complimenting the boy on his Kids Foot Locker gear, Irving lets him know that his performance as the boy in the same video game isn’t quite up to par.